Phishing, vishing, smishing… do you know what these are and how to stop becoming a victim of them? A major new awareness campaign is underway in an effort to help people get wise to scams. 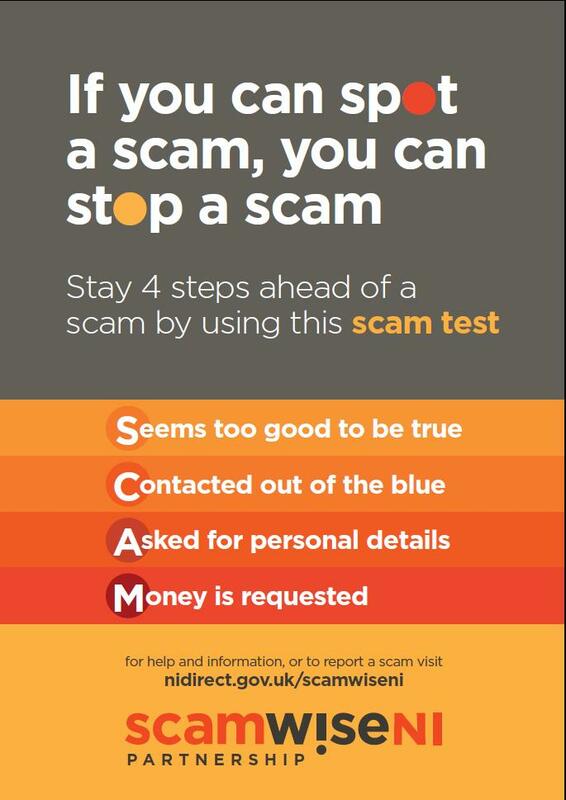 The campaign has been put together by the Policing Board, the PSNI and the Department of Justice in response to the rising number of scams being reported. There are countless ways that criminals have found to scam people out of their money but there are steps we can all take to be scamwise. To support the campaign, the ‘Little Book of Big Scams (PDF 6.5 MB)’ has been published which lists some of the key scams around at the minute and what to do if you think you are being targeted or may be a victim.